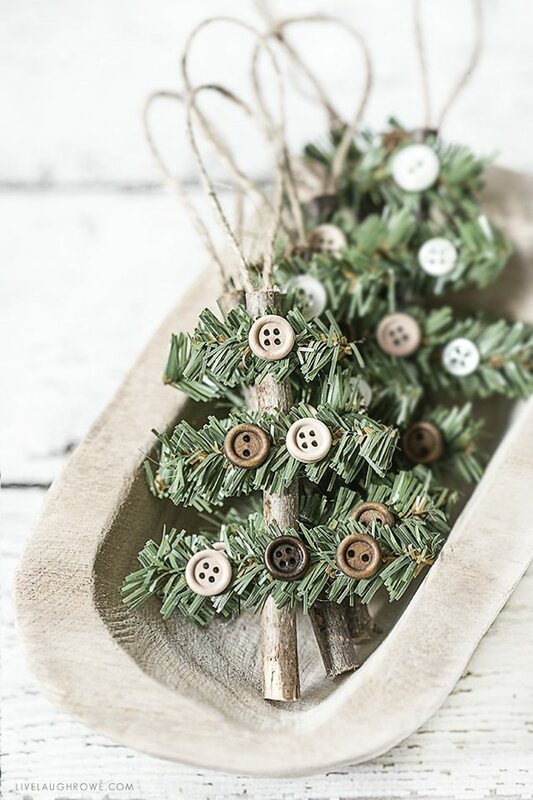 Make this Rustic Holiday Ornament in less than 10 minutes! 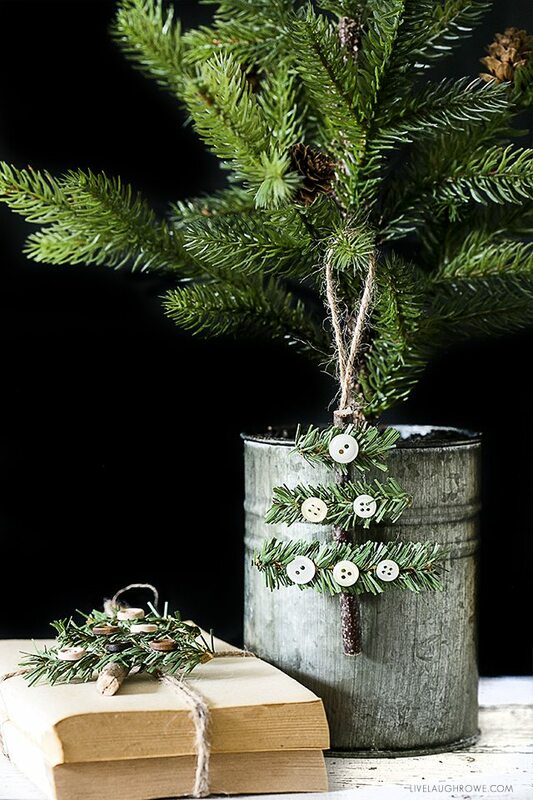 This simple, Rustic Holiday Ornament is the perfect holiday teaser. It’s amazing what you can do with just a few basic craft supplies! Have you ever done a happy dance when thinking of Christmas time? I have!!! I just love this time of the year, friends. November is like the month that primes the pump for December. And then it’s all things Christmas throughout December. YAY! Today, I also happen to be Day 31 in the 31 Days of Handmade Ornaments blog hop… soooo, be sure to stick around to find some other fabulous ornament ideas! A few years ago I shared a Cinnamon Stick Tree Ornament tutorial VERY similar to this one over on the Consumer Crafts blog, Crafts Unleashed. It was a wildly popular craft, so I decided to share something similar, but with a twist — wood! If you’ve been around the blog long enough, you’d know that I love the farmhouse, rustic style. So, as you can imagine, I’m bringing a little rustic love to the craft room today. With rustic and farmhouse decor, there seems to be a lot of wood (surprise-surprise). I thought this tree ornament would look darling using a wooden branch stick. Let’s grab a few supplies and get this par-tay started! *Pine Stems, Wood Sticks and Wood Buttons were all purchased at my local Hobby Lobby. 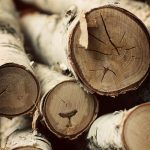 Depending if you cut your own wood log sticks or not, you’ll want to start by prepping the pine stems and the wood. The wood log sticks I purchased were pre-cut at 3.74”. Cut your pine stems into three different sizes: 1-1/2″, 2″ and 2-1/2″ to 2-3/4″ (see picture) Wire cutters are perfect for these cuts. You can use scissors too, but you might damage them a bit (just a fair warning). 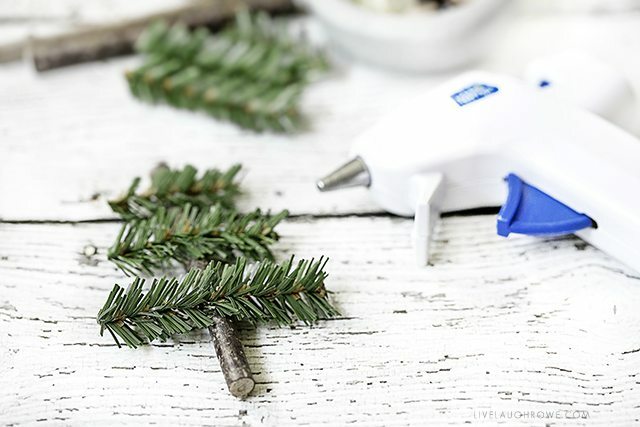 Attach the pine stems to the tree using your glue gun. As you can see in the picture above, you’ll place the smaller pine stem on the top and the largest one on the bottom. 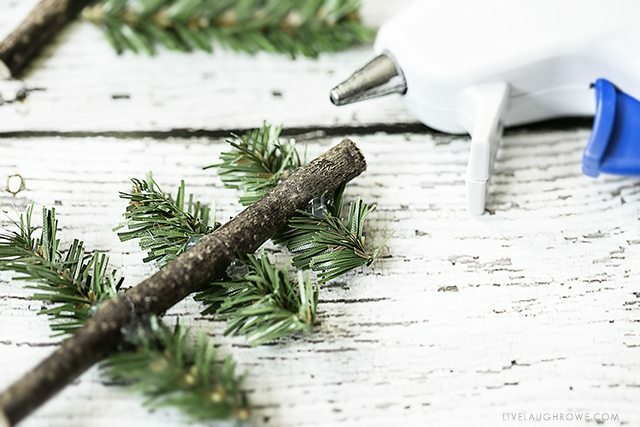 Using your glue gun, place a fair size dot of glue onto the stick, center the pine stem and press down firmly. Allow to dry a bit before attaching another stem. Spacing between the pine stems is at your discretion and also depends on the length of the stick your using. Spacing pictured is a little less than a 1/4″. 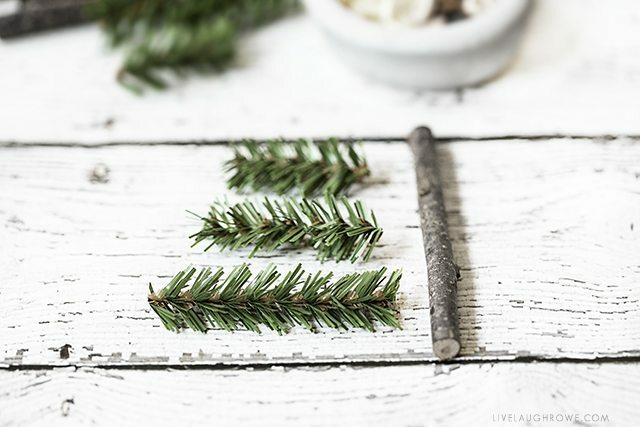 Once all of the stems are attached, flip the tree over and add an additional dot of glue (using your glue gun) to each side of the stick where the pine stem is affixed for a bit of extra stability. Please note that if the stems are pulled on, they will fall off – these are meant to be for decorative use only. 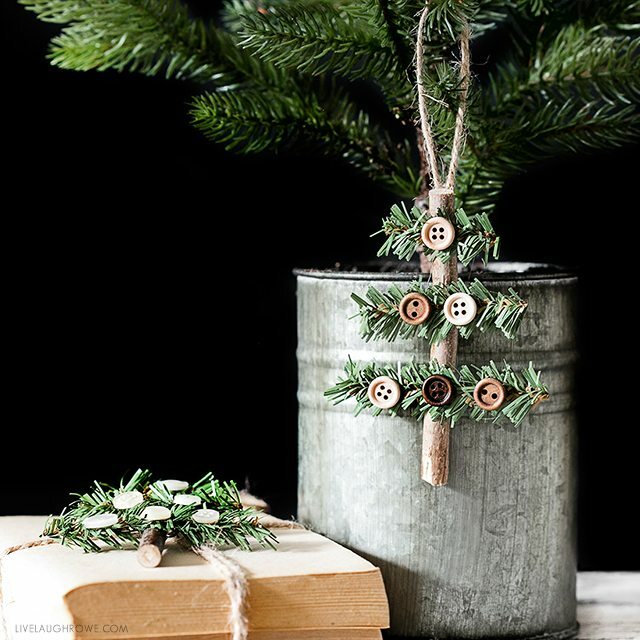 Using buttons of choice, it’s time to decorate your sweet rustic holiday ornament. In keeping them simple, I used some small wood buttons and a variety of white/ivory buttons. Attach buttons with glue gun. Cut a 7″ piece of jute twine and glue to the back of the tree ornament, for hanging. 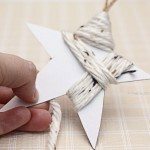 Bring both ends of the twine together and attach with glue gun –or—you can loop and knot the twine before gluing. Voila! You’re done. I absolutely adore these and think they would make great gift toppers too. Who doesn’t love a handmade ornament? It adds a little TLC to the packaging too. Now for some more fun! 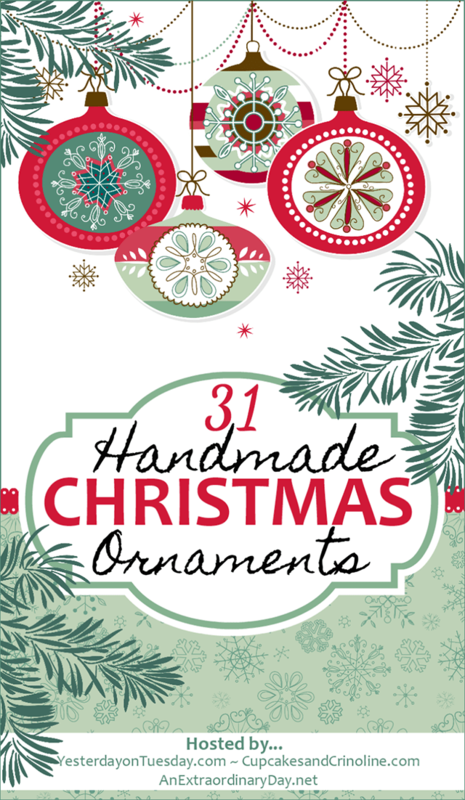 Below you’ll find the list of participating bloggers in the 31 Handmade Christmas Ornaments blog hop. I’m sure you’ll find a new favorite ornament or two… or three. Enjoy! My kids would love to help make these! So cute. Love it Kelly! So cute & rustic! I love your rustic Christmas ornament. 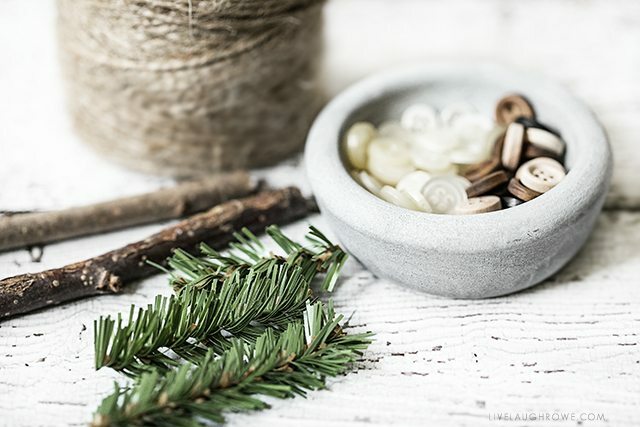 Making things with natural elements, even faux ones, is something I really enjoy in our home. This is perfect, simple and beautiful. Too cute Kelly!! They would be sweet attached to a gift as well. These are so adorable, Kelly, and perfect for Christmas. 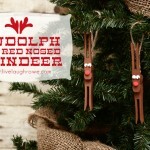 I’m going to try to make some of these for a pencil tree I have….it just seems fitting! Glad you shared this Kelly. 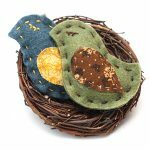 I love using buttons on things, gives them homespun look. Will have to go next door to gather some sticks for the trees. Neighbor always has lots of good sticks out on road easement. He’s seen me out there, came out last time to ask what I was doing. Was glad his sticks could be useful to me. Had to gather a few sticks for fabric pumpkin stems. Hope you’re having wonderful Fall. I just love metal and your ornament is so cute! Pinned & sharing on FB. 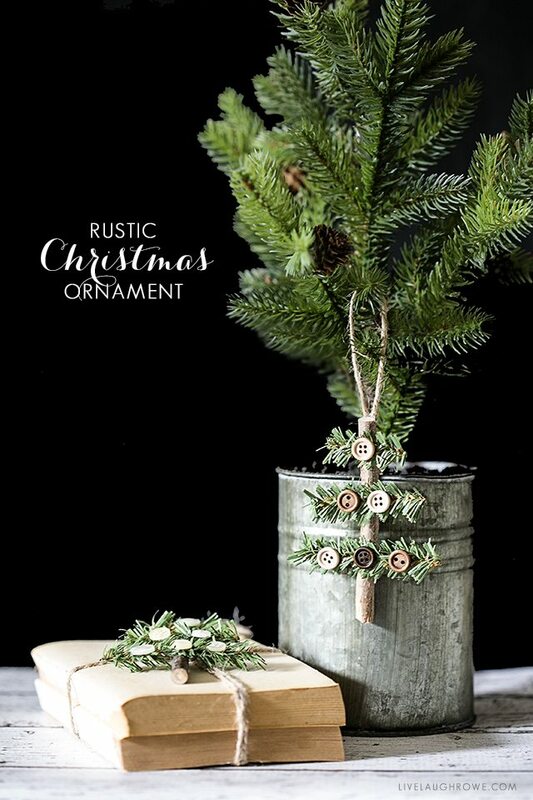 Oh wow, this ornament is just gorgeous, love the rustic feel! These are so simple but they are stunning!